This particular ring, however, has a lot to do with transport. The Chevauchée began no later than 1530, as that is when the first record of it can be found. So for around 300 years, the poor Pions must have just plonked themselves on the ground any old how to eat their lunches. I expect they all got indigestion. What the stones around the outside of the Table des Pions are for I have no idea, and nobody else seems willing to advance any theories either. I’m going to wildly speculate that they are the 18th Century version of “Mind the Gap” signs, designed to draw attention to the fact that there’s a ruddy great circular trench in the ground, just waiting to trip up the unobservant walker. The Chevauchée last took place on an official basis in 1837, but there have been several re-enactments of the ceremony since. Where the alleged connections with witches, the faerie folk, and wishes being granted have come from is not entirely clear. I like to think that transport infrastructure is pretty magical, but that’s just me. 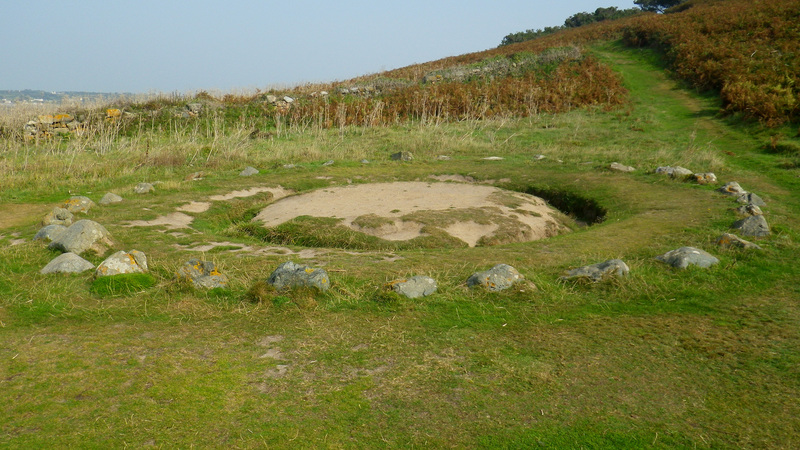 It’s more likely the fact that there’s something slightly weird about man-made circles in the landscape, be they stone circles or earthen banks and ditches. The earliest ones represent humans’ very first attempts to impose constructed order upon the world. More modern ones tap into these dimly-felt ancient memories and accrete myths and legends without really meaning to. In this, rings and stone circles are similar to a lot of transport infrastructure, which is also an attempt to tame the world, and which attracts a cultural significance far beyond the mere bricks and mortar, or steel and glass, from which it is made. Leaving aside the faerie folk and returning to the world of transport, the mindset of such careful inspection of the condition of Guernsey’s roads seems to have become ingrained on the island, even if the Chevauchée no longer takes place. Guernsey has some of the best maintained roads I have ever seen, and they are a credit to the States of Guernsey Government’s highways service. That’s magic of a different sort. 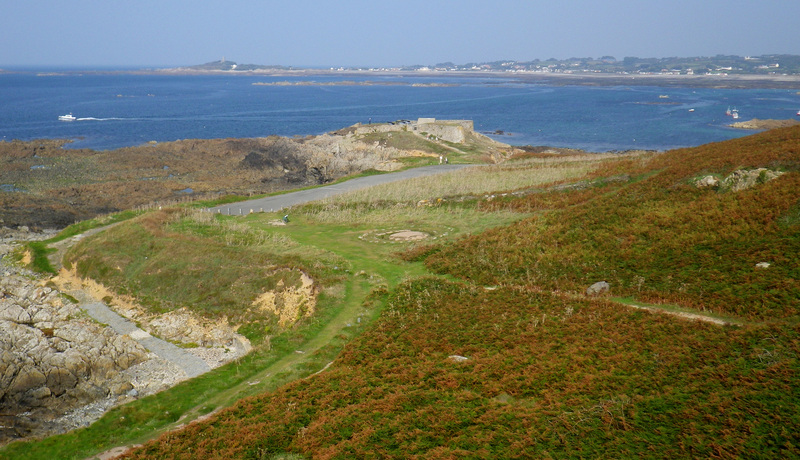 Pleinmont was one of my favourite walks growing up in Guernsey and remains a family favourite when we return on holiday. 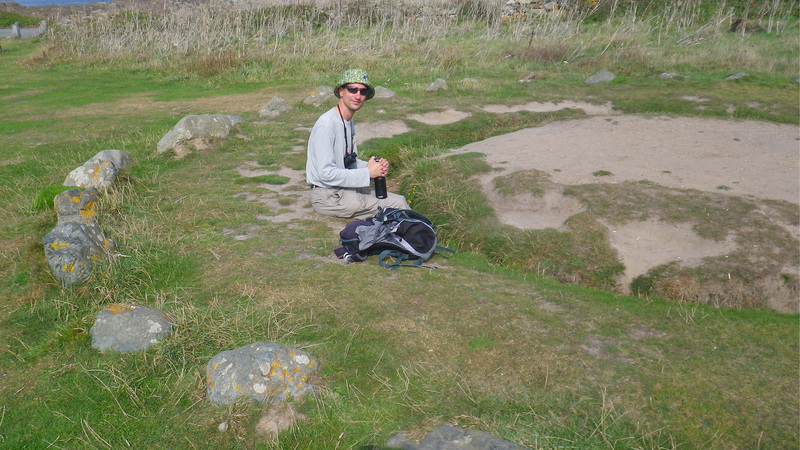 We went there one year for our Sunday School outing and ate our picnic in the Fairy Ring. Wonderful memories – thank you.